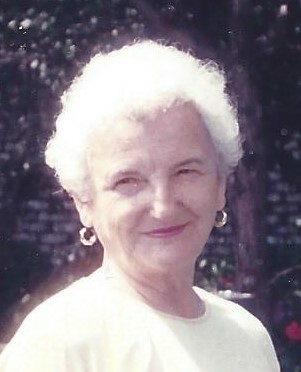 Marioara “Mary” Grecu 1929-2018: Beloved wife, mother, grandmother, and great grandmother passed away at Aultman Compassionate Care on Tuesday, December 4, 2018 following a brief illness. Preceded in death by parents Tenase and Maria Muntean, husband George Grecu, daughter Didona M. Lungociu (son-in-law George Lungociu), and brother, Nelu Muntean. Survived by grand daughters, Daniela Archer (great-grandson Luke) and Felicia Lungociu (husband Giuseppe Morena and great-grandaughter Sofia). Mary was born in Sebes Alba, Romania and relocated to America in 1964 with her husband and daughter. Moving to the United States was a childhood dream and developed into a life-long gift. A member of the St George Romanian Orthodox Church. Her faith, love, kindness, generosity, and strong work ethic will live on for generations to come. A long time employee of The Hoover Company and Canton Provisions before retiring in the 1980s. Funeral services will be held at 10AM on Saturday, December 8 at the St. George Romanian Orthodox Church, 144 30th St NW Canton, OH, with Rev. Fr. Ionel Satnoianu and Rev. Fr. Panteleimon Stanciu officiating. Friends may call on Friday December 7 from 5PM-7PM where a Saracusta Service will be held at 7PM also in the Church. Friends may also call on Saturday one hour prior to services. A private burial will be held at Forest Hill Cemetery on Monday, December 10th. In lieu of flowers, memorial donations may be made to the St. George Romanian Orthodox Church. You may add your condolences on our website: www.waltner-simchak.com.